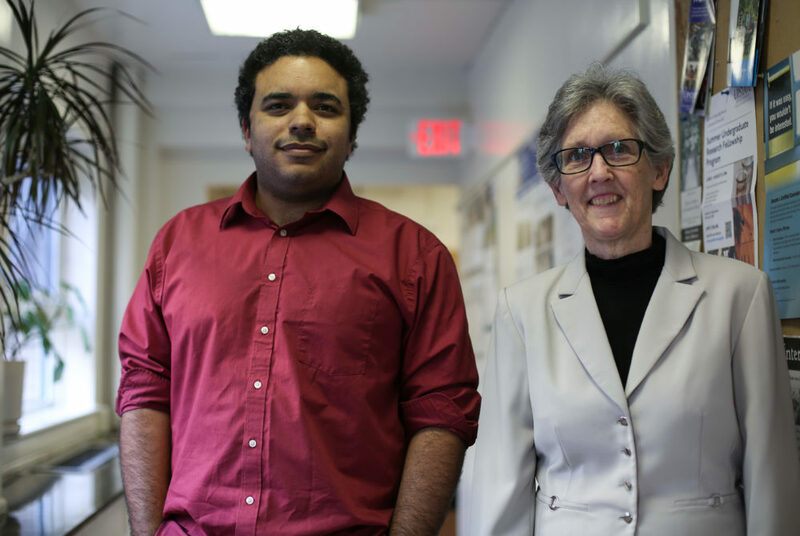 Dwight Kravitz, an assistant professor and director of cognitive neuroscience, and Carol Sigelman, the chair of psychology department, were both involved in the creation of the new majors. Updated: April 5, 2018 at 5:47 p.m. The psychology and biology departments will each offer an undergraduate major focused on the mind starting this fall. The psychology department’s bachelor’s degree program in cognitive neuroscience will focus on theory and behavior, while the biology department’s undergraduate neuroscience major will teach students about scientific treatment and diagnosis of neurological conditions. Faculty said the majors – announced last month – were created in response to rising interest in the field, especially because students who created their own degree programs often focused on neuroscience. The biology department’s neuroscience major will focus on the molecular and cellular aspects of neuroscience, according to the program’s website. Both majors will include courses on the evolution of the human brain, neurobiology, memory and cognition. Elizabeth Chacko, the associate dean of undergraduate studies in the Columbian College of Arts and Sciences, said there has been a “surge of interest” in neuroscience in schools nationwide, and the admissions office told CCAS officials that an increased number of prospective students had expressed a desire to major in neuroscience. “Given strong student interest and the fact that we have excellent faculty in key departments whose area of expertise lies in neuroscience, we decided to explore the possibility of creating the neuroscience majors about a year ago,” she said in an email. Students who have created majors using CCAS’ special interdisciplinary major, a program that allows top students to craft their own major outside existing programs, have “overwhelmingly” focused on neuroscience, Chacko said. Faculty and chairs from relevant departments worked with her to create the two majors, she added. Damien O’Halloran, an assistant professor of biology and director of the neuroscience program, and Dwight Kravitz, an assistant professor and director of cognitive neuroscience, said in a joint statement that the majors grew out of the work from the Mind-Brain Institute and GW Institute for Neuroscience – two research groups focused on the neuroscience field. O’Halloran and Kravitz said creating the new majors involved many different departments across the University. Students enrolled in the majors will be able to take courses in the anthropology, biology, philosophy, psychology, and speech and hearing departments. Although students can’t officially declare cognitive neuroscience or neuroscience as a major until next fall, the directors said students have shown their initial interest either through email or showing up to office hours. Faculty hope to host informational sessions about the new majors soon, but have not set dates for them. John Philbeck, a professor of psychology, said adding undergraduate neuroscience majors has been debated within CCAS since at least 2010, when officials started a brain studies minor. “At the time we were hoping that the mind brain studies minor would eventually pave the way for some kind of cognitive mind study major,” he said. Philbeck said one of the biggest benefits from the new programs is that they will better prepare students for careers in psychology and medicine, giving them an advantage over their peers. “It also provides students with something tangible on their resume that will help make them more competitive, so I think that might be the two biggest impacts,” he said. Sarah Shomstein, an associate professor of cognitive neuroscience who will teach a course in the new major, said the new majors are also not just for pre-med students, but also for students who are interested in brain function. Carol Sigelman, the chair of psychology department, said both of the majors were created in response to student interest – which has remained high since the programs were announced last month. Junior Kiley Timmons said she created her own neuroscience major using courses across different disciplines, but she said crafting her own program was a time consuming process that lasted from the end of her freshman year until this spring. She said she won’t transfer into one of the two new programs because of the time she has already devoted to creating her independent program. “If I were to switch into the official neuroscience major, I definitely wouldn’t have the same freedom to choose my own curriculum, and the major wouldn’t be quite as well suited for my own academic interests,” she said. The Hatchet incorrectly reported a name in the photo caption. It is correct now. We regret this error. This article appeared in the April 5, 2018 issue of the Hatchet.